While I'm here I'll show you some pictures of what else I've been knitting lately. There have been socks on my needles! My first ever pair knitted in a soft dove grey and a second pair in a mustardy yellow. Both of these pairs from a lovely simple pattern- Laule'a by Cabinfour using worsted weight yarn (which means they knit up quickly). I've used lovely soft Rooster Almerino aran in 'shimmer' and 'custard' which I had in my stash. 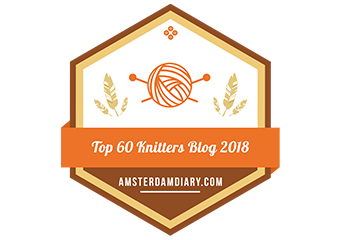 In other news I had a very nice mention on the Love Knitting blog the other day as part of their '5 minutes with...' series. If you'd like to read it you can find it here. Lastly, I'll leave you with some of the glorious skies that I've snapped over the last few weeks and put on Instagram. The last few days have been flat, dull and grey but when it has been clear the sky has been beautiful. Gobsmacked! That is the word that springs to mind as I look over all of the comments left on the previous post for the little Christmas mouse. Thank you all for taking the time to leave comments, so many really lovely and kind ones too. 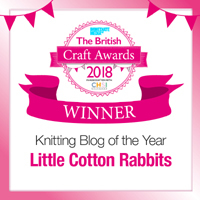 It would be nice to be able to give everyone a prize, but obviously that is impossible with just one of me and so many comments but I will ponder on new free patterns and giveaways for next year and will keep you posted. The lovely Emma of Silverpebble recently posted a picture on Instagram of some of her collected treasures and when I commented at how lovely they were and that I too had a collection of special bits she asked to see, so here is my treasure collection that I keep in a couple of old OXO tins. a curl of fur brushed from Poppy, my beloved cat who I adopted from stray on the streets of Hull when I was a student. She lived with me there for 3 years and used to sit on my lap and look out of the window on the long train journey from Hull to Reading in the holidays. When I left college she came too and lived with H and I in our first flat in Ealing. She was a much loved and pampered old lady cat until her peaceful death in her sleep 4 years later. ????... God because Thou art so good. I am very sorry that I have sinned against Thee and I will not sin again. It feels a little sad to know so little of her life but she was my great grandmother so I only knew her as a slightly cantankerous old lady who smelt a bit funny and she died when I was 12. I would love to know what this little wallet means but that is no doubt lost in time now. I keep it as a poignant reminder that everyone was young once and becomes old and unless they pass on their story it is lost forever. 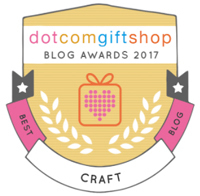 Perhaps this blog will survive in some format when I am long gone and be all that is left of my story - that is a nice thought. Do you have a treasure collection or an object that you keep for the memory it conjures up? I'd love to hear about it if you have time to leave a comment. It pains me to say it, but I have to admit defeat on finishing off the batch of seasonal themed animals. Time has not been on my side and I have a heap of unfinished animals here and not enough hours left to finish them before last posting dates arrive. So instead I'm going to give away the little Christmas mouse who is the only fully finished one of the batch. To be in with a chance of winning her please just leave a comment on this post and I'll use a random number generator to pick a winner next Tuesday (December 8th). If you were hoping to have one of my animals I'm sorry to disappoint but I'll be working on a batch now to have ready before Easter so I'll keep you posted on progress with those. 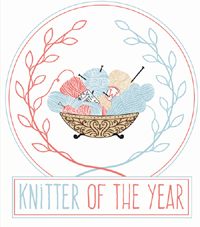 I'll also be working on a new pattern in the new year and will keep the blog updated with news of that. As always, if you want to get advance email notice of any of my finished projects and patterns then please send me an email and I'll add you to my mailing list. The random number generator has picked number 33, which is Lauren H.
Thanks so very much to all those who took the time to enter. I hope to have at least 1 more giveaway in 2016 and will keep you posted.